If you are the one who would only use a projector sometimes and you wouldn't spend more than a month on it, then you're in the right place! The Alfawise projector in many ways represents the entry level, but it has a very important ability that highlights the cheapest category. This is nothing but a smart feature, which in this case means that the projector has an Android 6 system, and through that we can access a lot of web services to say nothing about Youtube content. Certainly, many people take the fact that not another Android has been added to the projector, but let's see, there is a lot to do. The Alfawise A8 Smart Projector is portable with a size of 20,50 x 15,00 x 5,50 cm with a weight of just 950 grams. It is also light, small, so you can take a look at your friends, you won't be scattered by the shoe. The A8 Smart Projector is one quad-core 1.5GHz Amlogic S905X it is equipped with a processor and includes a built-in loudspeaker that provides a stereo sound experience and always delivers excellent sound reproduction. This combination will definitely provide endless enjoyment anytime, any time, but you are sure to remember how much you bought. 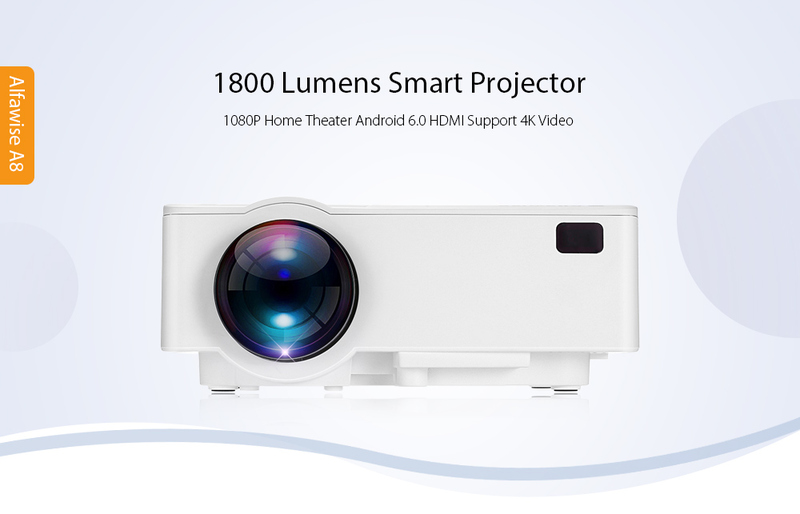 The brightness of the projector is 1800 lumens, which cannot be called steel, but at home it will be good in the evening if you want to move around. The machine is equipped with two-channel WiFi (2.4 + 5GHz 802.11a / b / g / n / ac), it includes Bluetooth connectivity, HMDI and RJ45 port for multiple connectivity options. 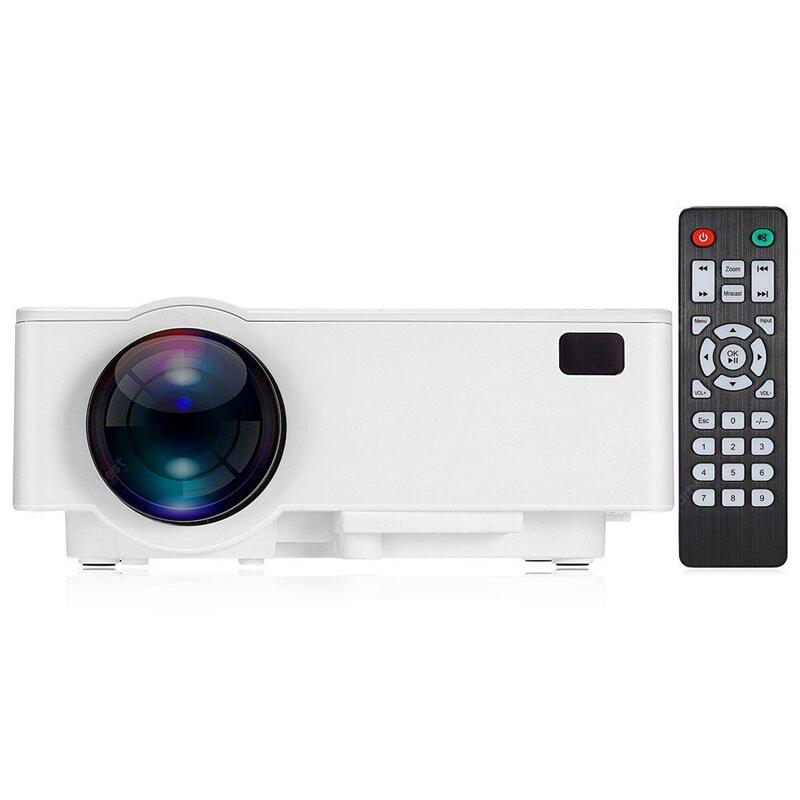 This projector can be seamlessly and in seconds synchronized with images from your phone or computer without using any cable, which makes it really easy to use. Another important data is that Alfawise A8 Smart Projector provides more than 20000 hours of entertainment without replacing the lamp, so if the projector is used for eight hours a day, 10 will not have a problem with replacing the lamp. Finally, the price. The price of Alfawise A8 Smart Projector is now only 89,99 dollars at GearBest, and we do not have to pay a penny for Priority Line free of VAT and VAT. If you decide you don't need Android, you can add the "silly" version for $ 69,99!